Front Description: 100% Pure Boar Bristles. 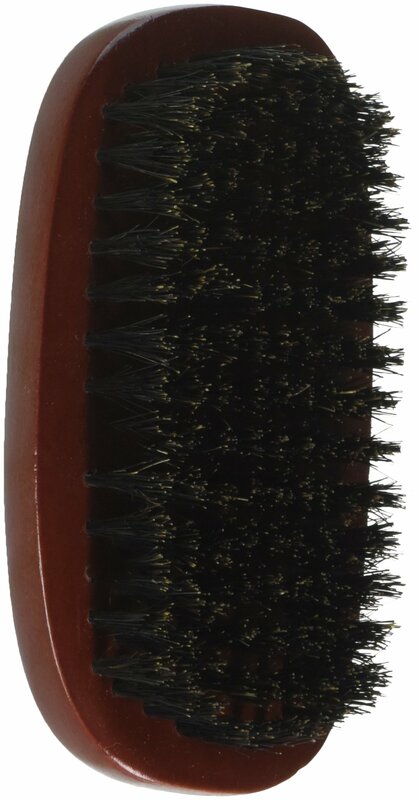 Side Features: Premium-quality 100% pure boar bristles. Side Benefits: Grooms hair and stimulates scalp. Distributes natural oils.Firm boar bristles. Front description: Confident.Strong.Smooth – tagline (small, as featured on Barber series brushes). Back description: Distributes natural oils to smooth hair and stimulate scalp for effective grooming.